Don’t be fooled by the casual name. 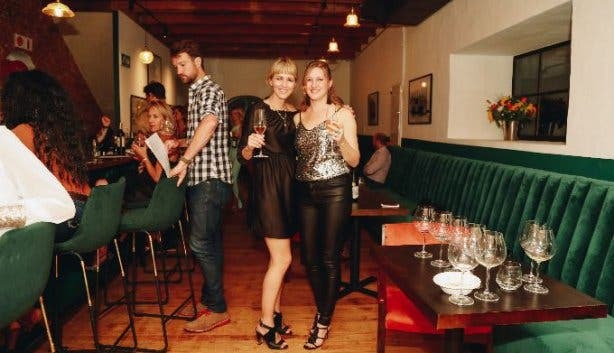 Grub & Vine is not your average Bree street bistro. It is casually elegant, yes, with an affordable menu of simple seasonal fare, true. But that’s where the bistro stops and Chef Matt Manning’s flair for creating refined dining experiences begins. 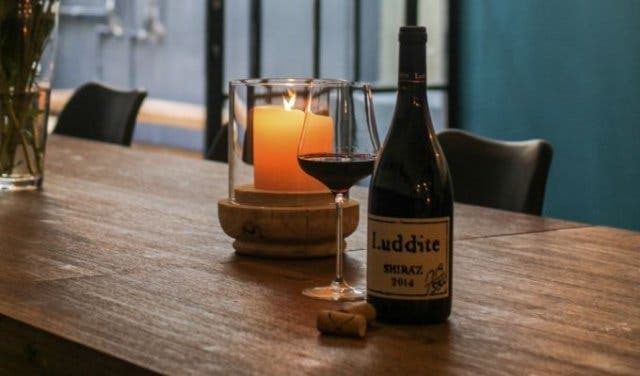 It all starts with his carefully curated matching of local sommeliers and chefs, like sous chef Esteve Beyers plucked from the kitchens of D.O.M in Brazil – one of the world’s top 50 restaurants. 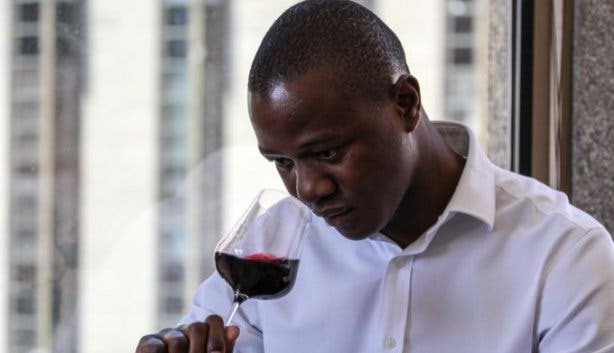 And then there’s Keize Mumba, former assistant sommelier at Azure, whose interesting choices are such a revelation, guests are often heard exclaiming: “we only knew one of the wines of the evening”. 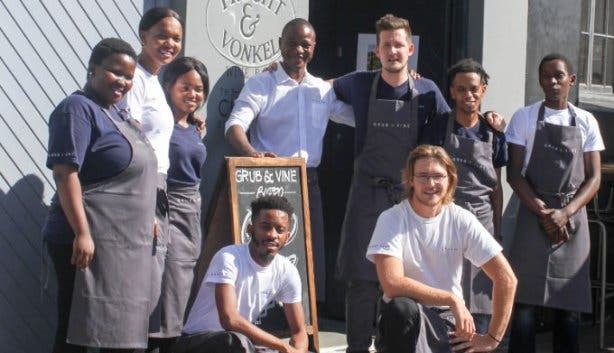 Everything and everyone complements the next at Grub & Vine. The elegant Japanese plating is a match for the perfectly pickled, poached and char-grilled delicacies served to the beat of blues and the bustle of 40 patrons oohing and aahing over their two-, three- or four-course dinner delights. Fine dining can be terribly fancy, sometimes perfect to a fault and, for the most part, unaffordable. That’s why most veer towards its more casual bistro cousin. What if there was another way? A fusion of the two? Perhaps a private chef with the vision to bring his London training, event experience and passion for social dining to his kitchen and your table? 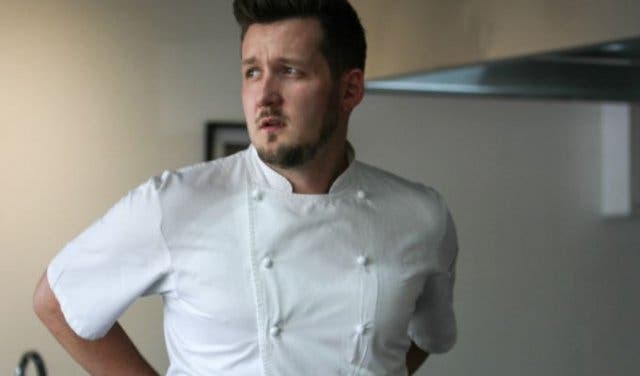 Someone like Chef Matt Manning, who perfected his trade in some of London’s finest Michelin-starred restaurants under the tutelage of Gordon Ramsay, Marcus Wareing, Alyn Williams and Bryn Williams – to name drop a few. 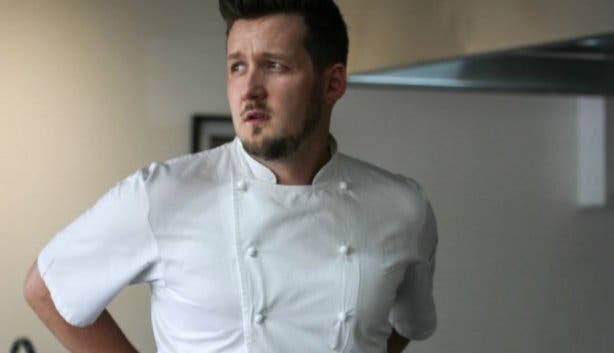 But then you bite into his succulent West Coast hake or delicately prepared local mussels and you realise, here’s a chef dishing up something local in focus and flavour. He calls it, “no-nonsense, good grub. Beautiful produce and honest cooking". True to Manning’s style, the menu is not fussy, but it is layered to perfection. 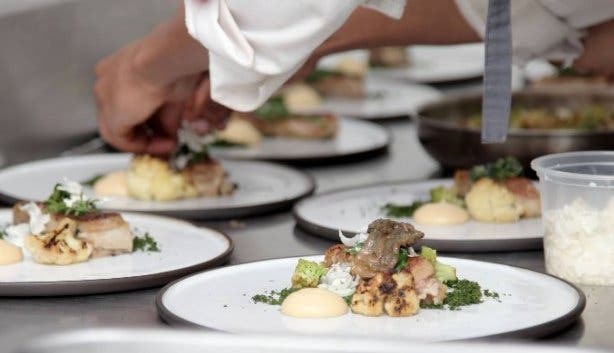 This is a place where chargrilled broccoli, fresh pear, forest phantom cheese and Pommery mustard meet in a unique pairing of flavours and textures. 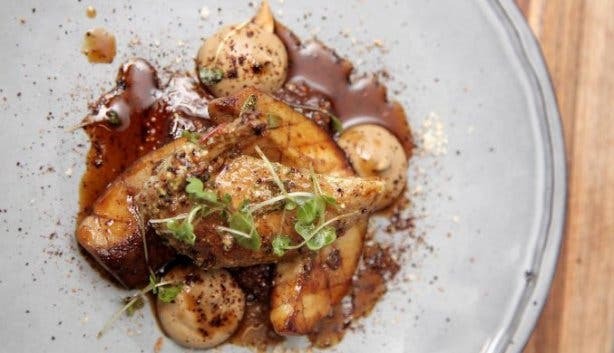 It’s a place where you might come for the food and return for the atmosphere and staff or, as one guest found: “I personally loved the open kitchen where you can watch the food being prepared while you sip your drinks and await your meal." 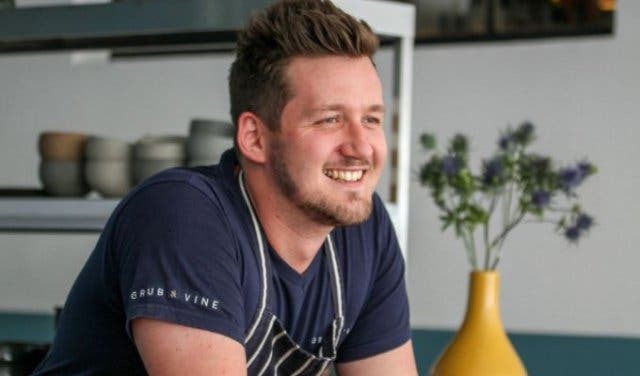 In the Grub & Vine experience menu, the evenings are the main course, serving up a vibrant atmosphere that complements the food and highlights the social dining aspect of Manning’s vision and ventures. In the evenings, patrons get to choose between a two-, three- or four-course menu, starting at R295 for two courses, unpaired, and ending with R795 for four courses, each paired and served by sommelier Keize Mumba. By day, the a la carte menu has starter and main portions for each dish, giving patrons the opportunity to do their own pairings. You could start with a small portion of warm Burrata, tomato, char-grilled courgette and a salsa verde before moving on to a main dish of yellowfin tuna nicoise. But then again you might want to bring in a starter portion of the West Coast hake, steamed mussels, black lentils and mussel sauce. Just make sure you save room for desserts like their blackberry almond cake, honey custard and honeycomb. Trust us. It’s more treat than tart. 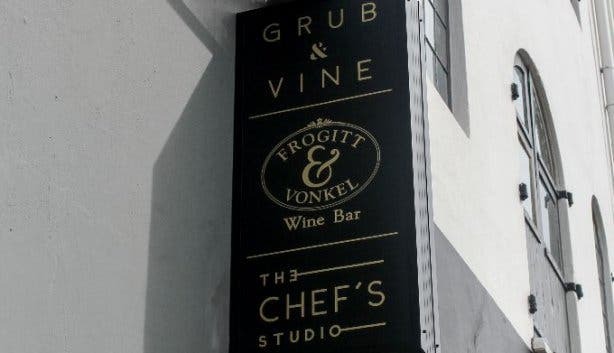 Grub & Vine will become an inner-city treasure. Located on the first floor overlooking Heritage Square, the restaurant puts you in the heart of the city without the street noise. 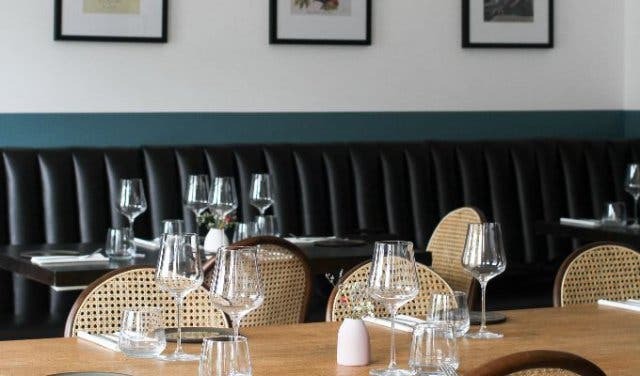 So it’s perfect for a quick and quiet business lunch, where the blues are kept low tempo and the natural light filtering in over the decor gives the space a cool, contemporary feel. For the moment, lunchtimes are for your own personal curation, but Manning hints at a “working lunch” idea at his cool city setting. 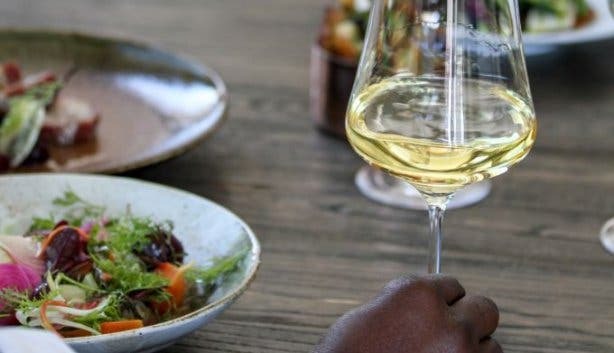 To enjoy the full Grub & Vine experience by light of day, book for their Saturday Brunch Club with your choice of a two-, three- or five-course meal (R295, R375, R445, respectively). The atmosphere is lively, but intimate, which is why seating is limited to 30 guests. It starts at 11h30 with a Bloody Mary on arrival and wraps up at 14h30, with or without a toast to the bottomless bubbles – a popular addition at R250pp. 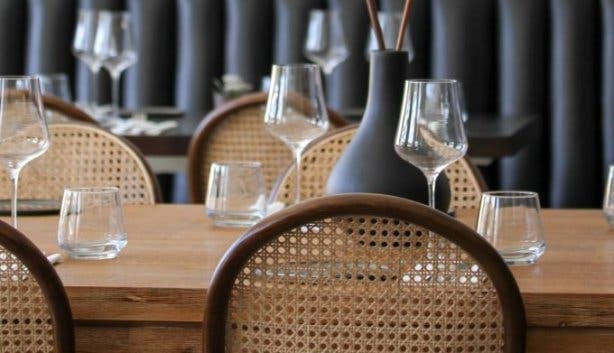 Just behind this bustling bistro is the Green Room – an event space that hosts private dinners and the popular #VineNight – a complimentary wine tasting from a select group of wine farms, between 6pm–7pm every Tuesday and Wednesday evening. 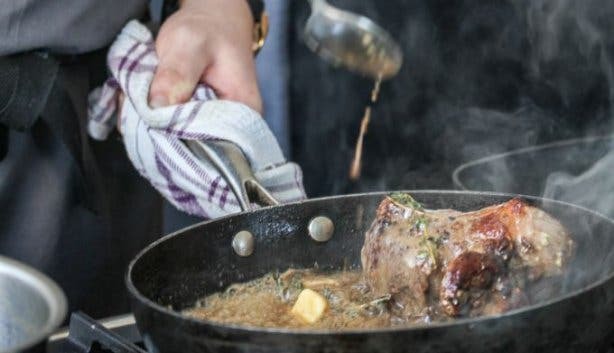 A level up is The Chef’s Studio – an industrial space kitted out with state-of-the-art cooking stations, where private guests get cooking experiences. It starts on Tuesday night with Manning’s How to Cook series of home cooking demonstrations. At this weekly class, guests team up and tackle an everyday dish before sitting down for a meal. 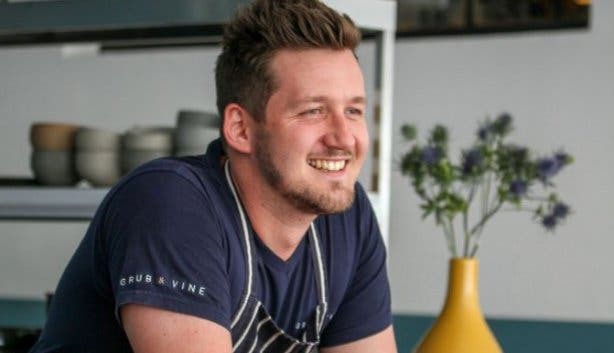 There’s a lot going on food-wise on Bree Street that proprietors really have to bring something special to the table for people to even look up. Grub & Vine more than captures your attention, it brings everything a level up. 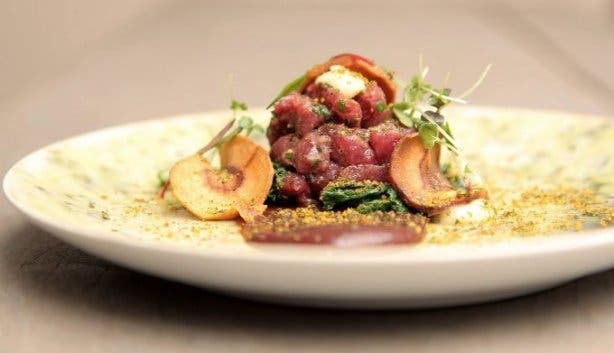 The restaurant might be the main course, but everything else at the Green Room and Chef’s Studio measures up expertly as an entree. Tip: #VineNight is free, but book because space is limited to the first 24 people. Read more about Chef’s Studio, Grub & Vine’s weekly wine tasting and brunch special.